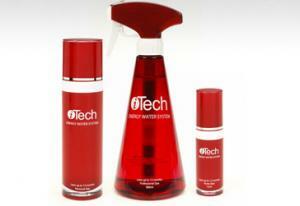 iTECH energy spray almost instantly removes the tired look of your Skin and gives your Hair a healthy shine. This special 3-layer spray filter bottle turns ordinary tap water into "energy water" to spray on the hair and skin for increased condition and softness. Passing tap water through this special carbon residue filter removes the hardening elements, exchanging them with hydrogen ions that soften the water. Passing through the ion exchange resin layer, the hardening elements in water are exchanged for hydrogen ions and changed into beauty soft water that's pH balanced at 3.5 to 5.0. Finally, passing through the vitamin layer, the water picks up water-soluble Vitamin C. The result is pH-balanced water that is free of chlorine, heavy metals and other harmful elements. 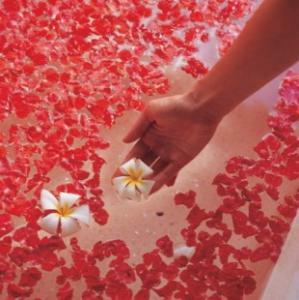 The addition of a light fragrance provides a pleasant and energizing aroma. Passing through the ion exchange resin, the hardening elements in water such as calcium and magnesium are exchanged for hydrogen ions. 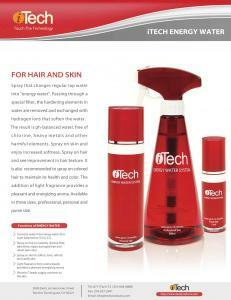 This Energy Water System produces water that is pH balanced at 3.5 to 5.0, maintaining the pH balance of hair and skin. The safety of Energy Water is recognized by KOTRIC (Korea Testing and Research Institute for Chemical Industry) through tests for ocular irritation, skin irritation, and skin sensitization. 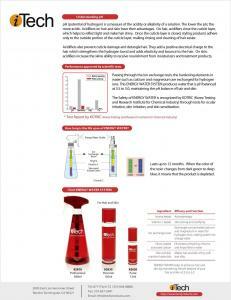 Professional Size 380 mL - for selective hair salons only - P.O.R. Shipping cost to EU and Adriatic region is 10 EUR for Personal and Purse size. Order your Energy Water online by clicking on the e-mail adress left or you can simply call us NOW - to see and fell the difference ! !